海外の反応「キノの旅 -the Beautiful World-」第1話 : !!翻訳注意報!! 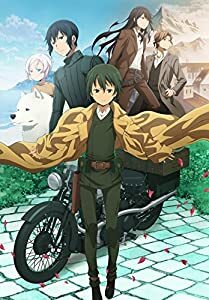 海外の反応「キノの旅 -the Beautiful World-」第2話 : !!翻訳注意報!! 海外の反応「キノの旅 -the Beautiful World-」第3話 : !!翻訳注意報!! 海外の反応「キノの旅 -the Beautiful World-」第4話 : !!翻訳注意報!! 海外の反応「キノの旅 -the Beautiful World-」第5話 : !!翻訳注意報!! 海外の反応「キノの旅 -the Beautiful World-」第6話 : !!翻訳注意報!! 海外の反応「キノの旅 -the Beautiful World-」第7話 : !!翻訳注意報!! 海外の反応「キノの旅 -the Beautiful World-」第8話 : !!翻訳注意報!! 海外の反応「キノの旅 -the Beautiful World-」第9話 : !!翻訳注意報!! 海外の反応「キノの旅 -the Beautiful World-」第10話 : !!翻訳注意報!! 海外の反応「キノの旅 -the Beautiful World-」第11話 : !!翻訳注意報!! 海外の反応「キノの旅 -the Beautiful World-」第12話 最終話 : !!翻訳注意報! !